The goal of a balanced diet is to ensure optimal intake of essential nutrients and vital substances, which are: carbohydrates, proteins, fats, vitamins, minerals, fiber and water. We live in a time when we can find a wide range of foods. Unfortunately, few people have the time and expertise to put in place an optimal nutrient diet every day. 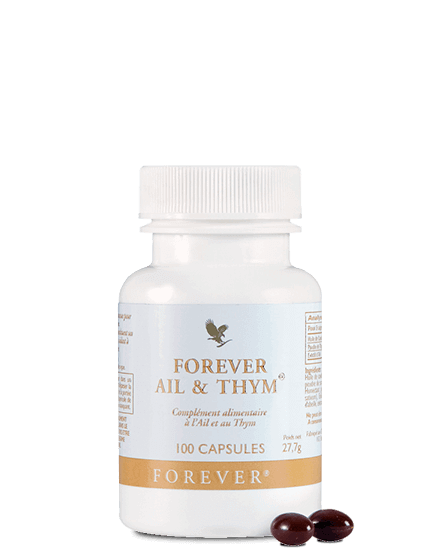 The high-quality ingredients in Forever’s nutritional supplements have the advantage of being able to accurately dose the substances you need to rebalance your diet. So you’re guaranteed to provide your body with all the components it needs and those with high quality ingredients. Aloe Vera Gel or in combination with the nutritional program Forever F.I.T. Take care of your body with the food supplements of Forever Living. 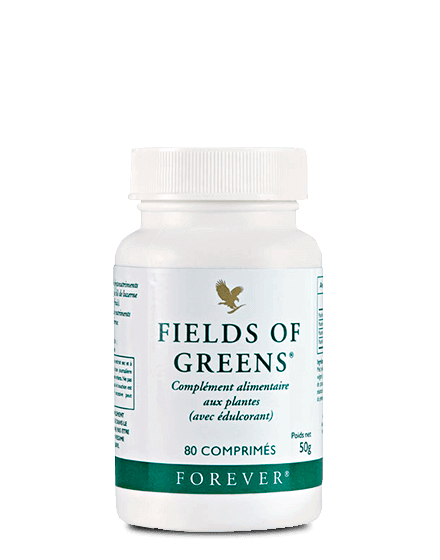 Forever Daily and Fields of greens provide the human body with all the vitamins, minerals, fiber and trace elements necessary for its proper functioning. Dietary supplements should be related to higher fluid intake and will be more effective if combined with our healthy aloe vera drinks. FRom the probiotics to Oméga-3 hat are often lacking in our diet, browse our product catalogs and find the supplements you need in just a few clicks. With Forever Living give your body the attention it deserves. Between school, sports activities, lack of sleep and a diet that is not always optimal, your child may be tired. 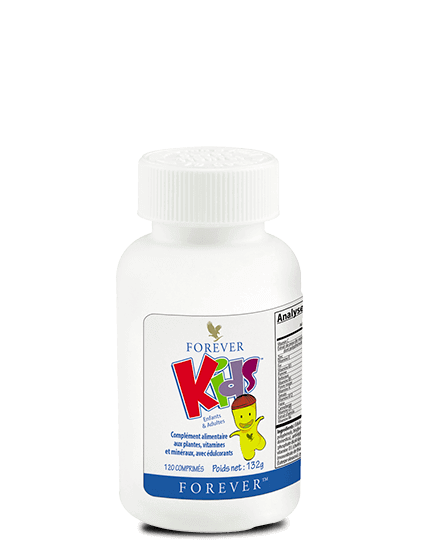 The unique composition of Forever Kids contains a skilful blend of Vitamin A, B, C, D, E and minerals such as iron and zinc . This formula helps strengthen the immune system and help fight infections, while reducing fatigue levels and promoting cognitive development of the child and adolescent. Plus, kids love them because of their delicious strawberry taste. 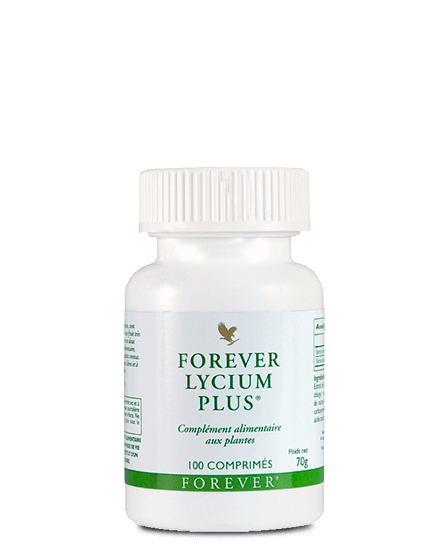 Forever Lycium is a unique combination of two medicinal plants, goji berry and licorice root. This is a very effective dietary supplement that is based on the millennial knowledge of traditional Chinese medicine and the latest advanced modern science in nutrition. It is invigorating, antispasmodic, antibacterial and strengthens the immune system. It also helps with digestion, is effective against headaches and helps detox the body. 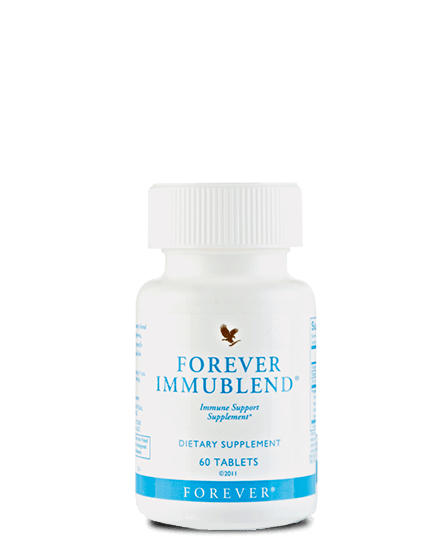 Forever Immublend gives your body a large dose of nutrients and completely covers your daily needs for Vitamin C, Vitamin D and Zinc. Three key components that help strengthen the immune system and promote metabolism. It is thanks to its unique composition of powerful Chinese medicinal mushrooms, shiitake and maitake that Forever immerses in a positive effect on the general wellbeing and the immune system. Garlic and thyme have been used for many generations in the kitchen because these two plants are well known for their positive effects on physical well-being in general. Garlic and thyme are very effective in fighting against free radicals, they help prevent certain diseases and can be used as a dewormer. Their action on the digestive and immune systems is particularly remarkable. Always Garlic Thyme is a versatile dietary supplement that is suitable for all health conscious people. Moreover, he is innodorous. Lack of fiber in modern diets can often lead to health problems. In effect the fibers are essential to support the intestinal metabolism. Fields of Greens provides the body with these precious fibers in the form of green barley, wheatgrass, and alfalfa. Fields of Greens is also enhanced with Forever Honey and Cayenne Pepper, which gives it a pleasant, tangy flavor. It is ideal as a dietary supplement for athletes, vegetarians and the elderly. Forever Active Probiotics contains a large number of beneficial microorganisms for our intestinal flora. Probiotics play a very important role for mental and physical well-being. 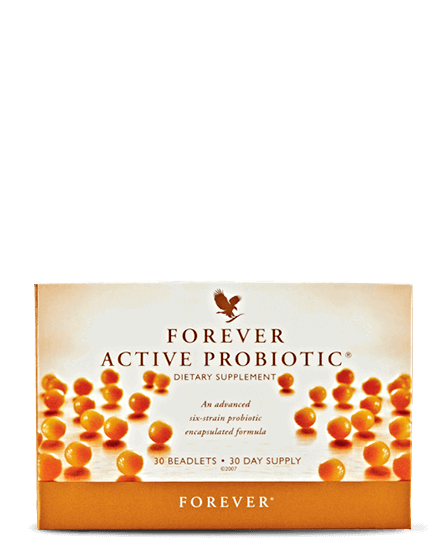 Forever Active Probiotics provides the body with 6 strains of essential bacteria that promote a healthy intestinal flora. Their unique encapsulation patent ensures that bacteria will not be released before entering the gut. 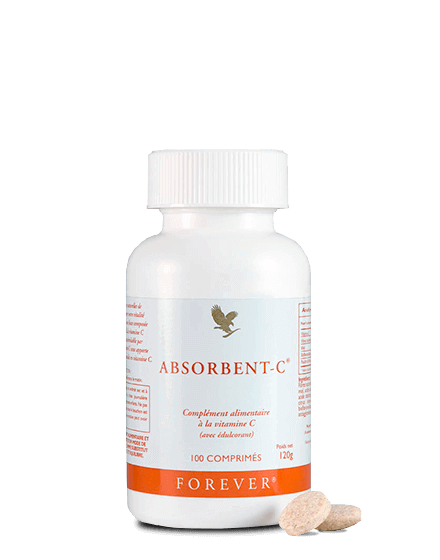 Abcorbent-C is an effective dietary supplement that provides the body with all of its daily vitamin C requirements. Each tablet contains an oat bran matrix that releases vitamin C gradually. As the human body can not capitalize vitamin C, this approach allows it to never run out of it. Vitamin C strengthens the immune system and contributes to the proper functioning of bones, skin and teeth. Each Forever Absorbent-C tablet contains 60 mg of Vitamin C.
Forever Gin-Chia is an exclusive formula of Golden Chia, Ginseng, Forever Honey and Vitamin C that effectively protects the body’s cells from the effects of oxidative stress by stimulating the immune system and promoting energy metabolism. 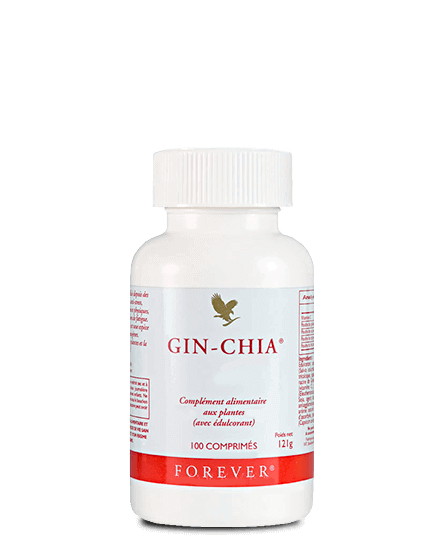 Forever Gin-chia brings an immediate boost to your tone and vitality, bringing you a sense of physical and mental well-being. It has a stimulating and tranquilizing action on the nervous system, improves memory, is anti-fatigue and anti-stress. Moreover, his taste is very appreciated. For the Incas the power given by the Maca was sacred, it is today a source of protein very effective. 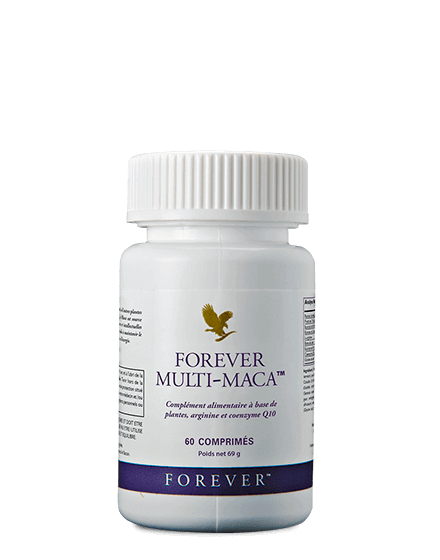 All the potency of the maca tuber has been condensed into each tablet of Forever Multi-Maca. This food supplement promotes the development of muscles, gives energy to the body , strengthens the immune system and improves endurance. Forever Multi-Maca is a popular addition to great athletes because it improves performance without doppant effects . 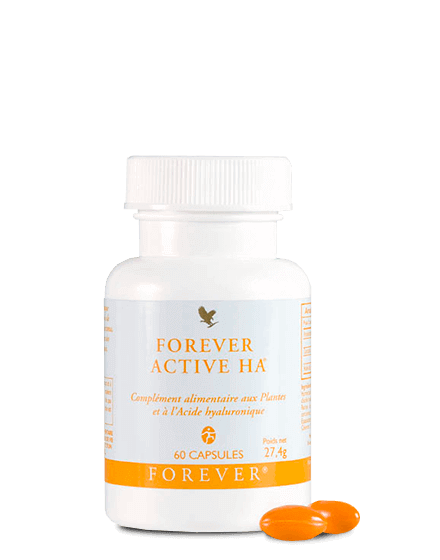 Forever Active HA is composed of hyaluronic acid, Zinc, turmeric and ginger. It is a very innovative product because it offers the possibility of supplementing with oral hyaluronic acid and not by injection thanks to the “injuv” patent of Forever. By attaching itself to the water molecule HA participates in the hydration of the body, thus reducing wrinkles, but also to keep skin and joints very flexible, which greatly promotes the mobility of the body. 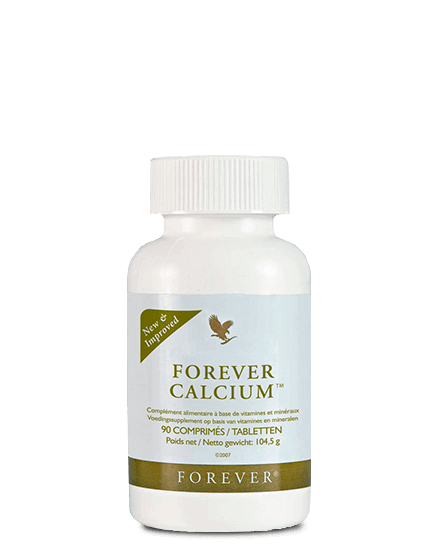 Forever Calcium to strengthen bones, teeth and skin. Forever Calcium covers the daily needs of many nutrients such as calcium, copper, magnesium, vitamin C and vitamin D, which have positive effects on the whole body. This dietary supplement contains four different sources of calcium for better bio-availability and includes vitamin D which is essential for the body to fix calcium. 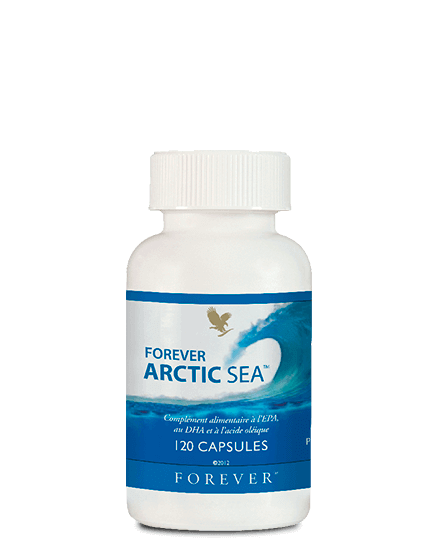 Forever Arctic Sea brings Omega 3 fatty acids to the body because they can not be made by the body itself. It is essential to have daily intakes of omega-3 for the proper functioning of the heart and brain. Forever Arctic sea is an excellent source of omega 3 in their form DHA and EPA that support heart function. DHA also helps maintain normal brain function. Arctic Sea an excellent anti-aging supplement. 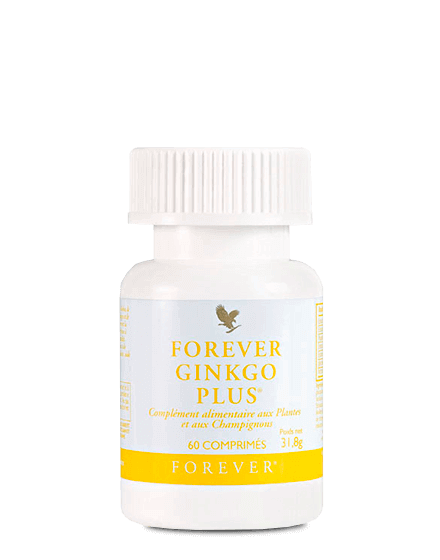 Forever Ginkgo Plus is an exclusive formula of 3 Chinese herbal medicines, Ginkgo Biloba, Shisandra and Reishi. Ancestral plant, renowned for millennia in India and all over Asia Ginkgo Biloba is known for its positive action on the circulatory system. Reishi is a medicinal mushroom that supports the immune system and reduces bad cholesterol levels. Shisandra promotes physical and mental well-being. Vitolize Men combines everything man needs in a capsule. Vitolise is a high quality dietary supplement containing vitamins and trace elements extracted from different plants. They help maintain normal testosterone levels, promote fertility and participate in spermatogenesis. Vitolise Men also supports the immune system and gives strength to the body. Ideal for active middle-aged men. 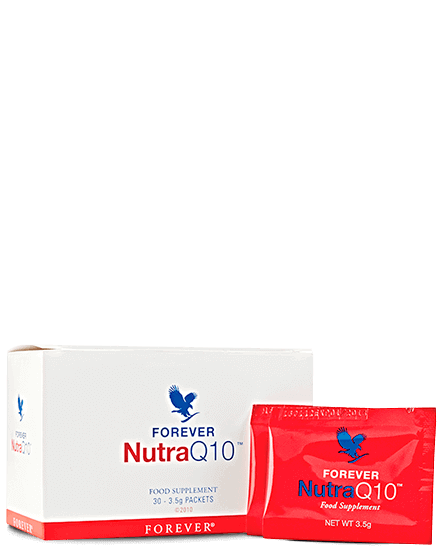 Forever Nutra Q10 is a powerful dietary supplement that contains many very valuable substances for the body, such as coenzyme Q10, vitamins and trace elements. Nutra Q10 supports energy metabolism, strengthens the immune system and brings a lot of vitality to the body. Nutra Q10 is very easy to dose because it is packaged as a daily dose in the form of a small sachet to take in a single dose. 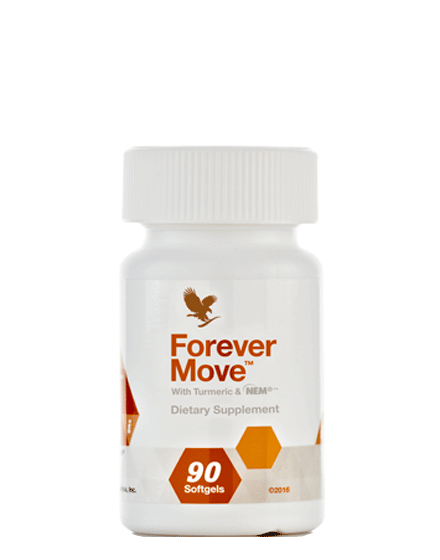 Forever Daily covers all daily needs of vitamins, minerals, trace elements and phytonutrients with only 2 tablets. 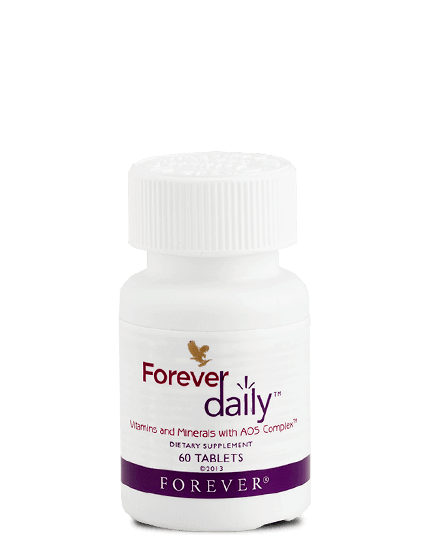 Forever Daily combines the power of more than 20 fruit and vegetable extracts with aloe vera sugars via the AOS Complex that allows for better assimilation of different nutrients by each cell of the human body. Forever Daily brings you a real sense of well-being everyday. Forever Fiber provides the body with high quality fiber. Fiber is an essential part of a healthy diet and unfortunately is increasingly absent from the modern diet. 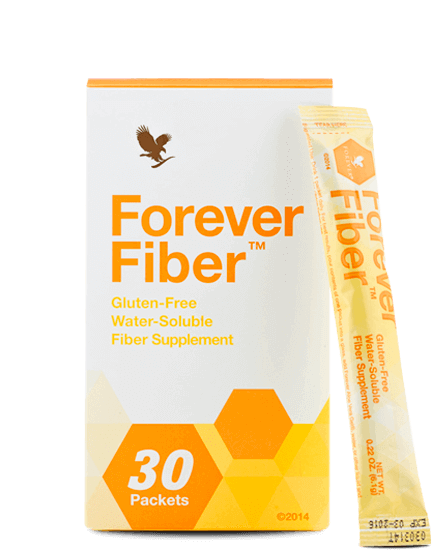 Forever Fiber is the ideal supplement for people who do not get enough fiber from their diet, because it is fast and easy to use. A packet of Forever Fiber contains 5 grams of plant fiber and covers about 17% of the recommended daily fiber intake. Forever Move is a unique combination of two patented ingredients, the natural eggshell membrane: Nem®, and a water-soluble turmeric complex: BioCurc®. Nem ® is a natural ingredient that is derived from the egg and provides chondroitin, hyaluronic acid, glycosaminoglycans and key proteins such as collagen. To this we added curcumin in the form of BioCurc ® which increases the bioavailability of more than 200%.